I've told you many times about my love of Outlaw Yarn and especially Vanitas, their delicious DK weight blend of alpaca and merino. It's a stunning yarn, baby soft and dyed in rich, solid colour ways. When I had two balls left after knitting my Epistrophy cardigan early this year, I knew I had to design something special for it. 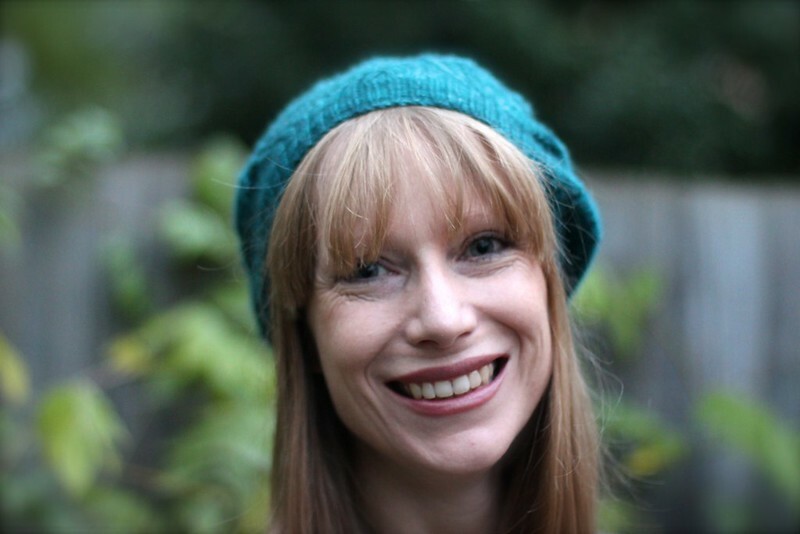 And, after wearing my cardigan all winter, I decided I wanted to knit up my Vanitas into a cosy hat. 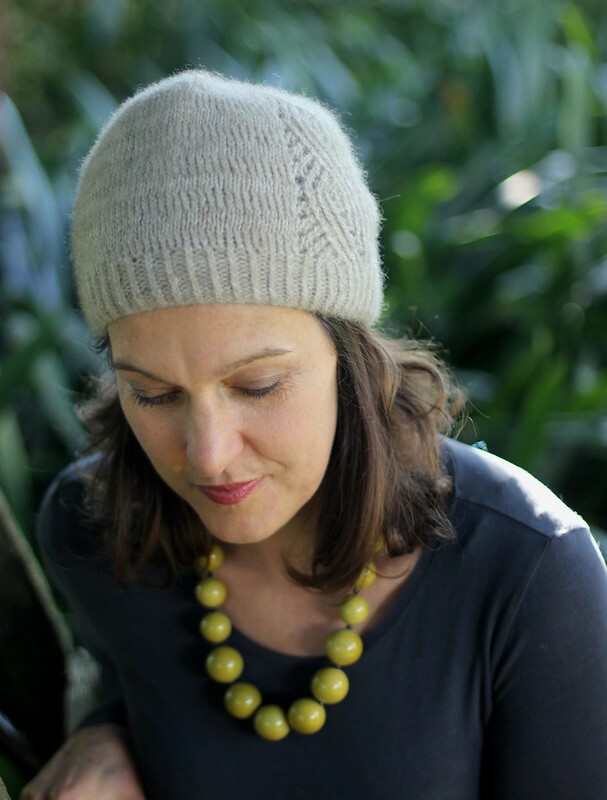 Vanitas is silky soft to wear, super warm and it has great drape - perfect for a slouchy beanie-style hat. I just love how the yarn looks knitted in garter so I decided to make that the focus of my design. The garter brim is nice and snug so it won't slip but without being too tight. 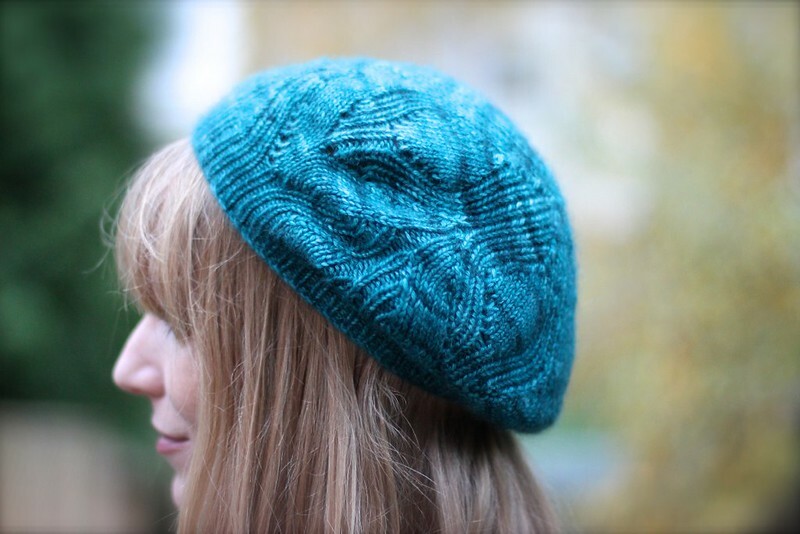 The garter then flows into the texture of the hat and I've mixed it with a neat wee two stitch cable that you can knit without a cable needle (I've made a tutorial showing you how and I've linked to it in the pattern). I make my pom pom's the old fashioned way - with two pieces of cardboard cut like a couple of donuts. I wind and wind and wind ... until it's stuffed full. Then I snip it and wrap a piece of yarn around the centre, pulling it nice and tight. 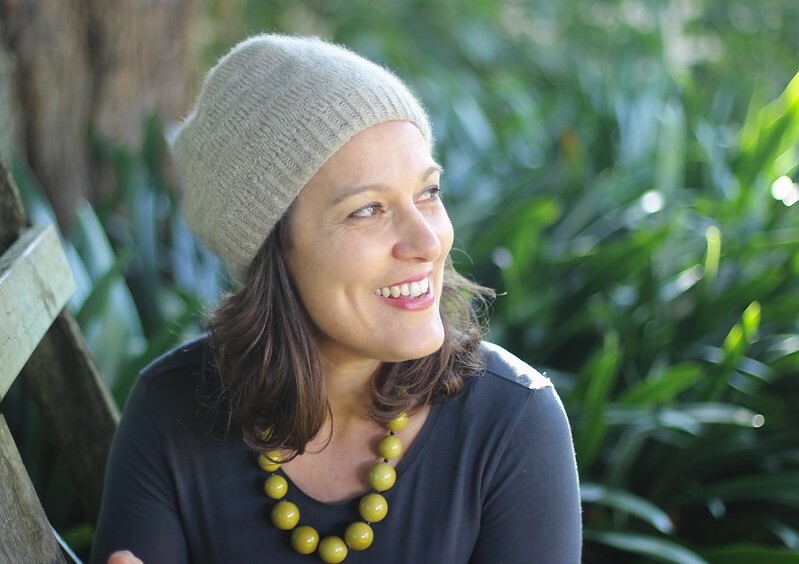 My hat is named after New Zealand's highest mountain Aoraki. 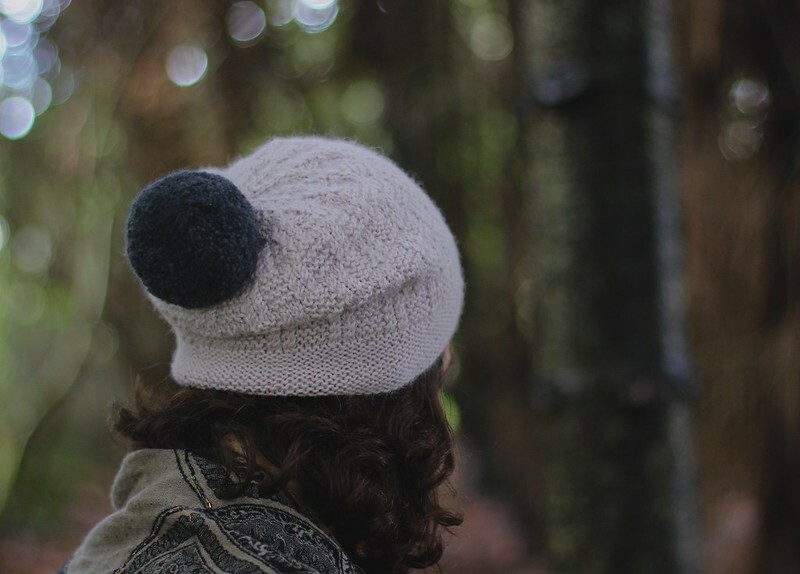 It's a snowy, beautiful place and I decided it was the perfect name for a snuggly, fun hat. You could substitute another soft DK yarn to make Aoraki - but if you want one the same as mine - you'll need two balls of Vanitas from Outlaw Yarn; one ball of "Bone" for the body and one ball of Ebony for the pom pom. Happy knitting! You can find the pattern here. I am very fond of hats. It might be because as a child I was always wearing a hat. My mum kept our little heads well covered and warm. It's something I did for my own babies and I still breathe easier sending my small people out into the cold with a hat on their noggin. Whatever, I definitely enjoy a hat. 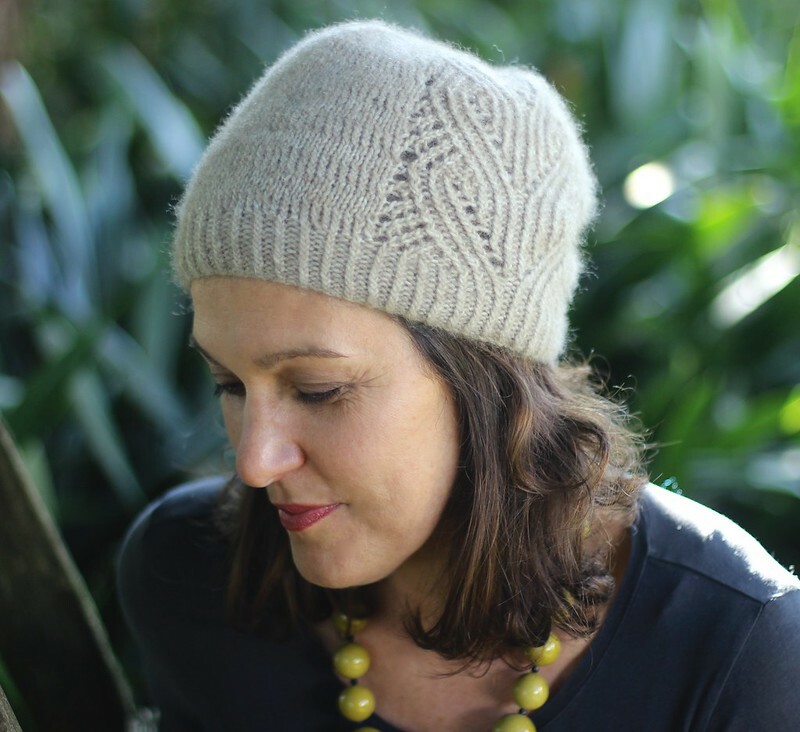 My new Koru hat is a great messy hair coverer but it's also super lovely and even when I wear it with my jeans and jumper I feel a little bit more special with it on my head. The lace panel is a delight. I love knitting it and the end result is very pleasing. 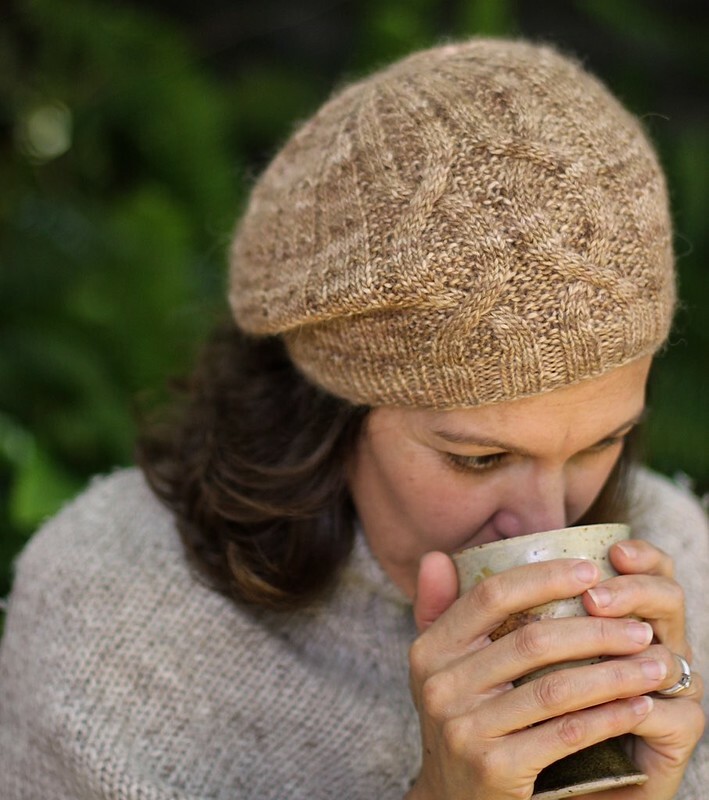 It's feminine without being too fussy and the gentle curving "ferns" in the pattern add to the overall soft feel of the hat. 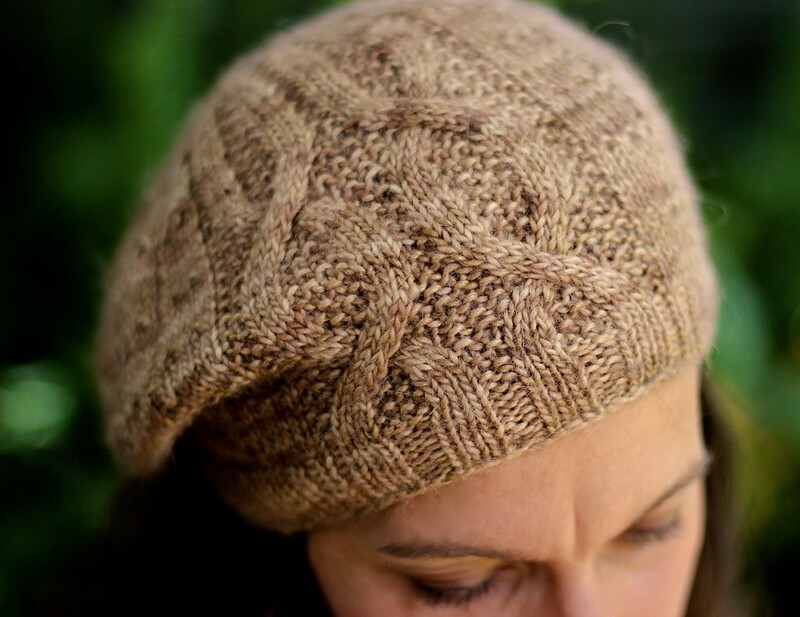 You won't need a cable needle to knit the lace panel - all the stitches can be performed with your regular knitting needles. I've made some tutorials (linked in the pattern) to help you out with some stitches that you might not have come across before. I also love the subtle detail that the twisted stitch "stripes" add. They elegantly and gently turn Koru into something a little special. I have been on a roll with twisted stitches lately. 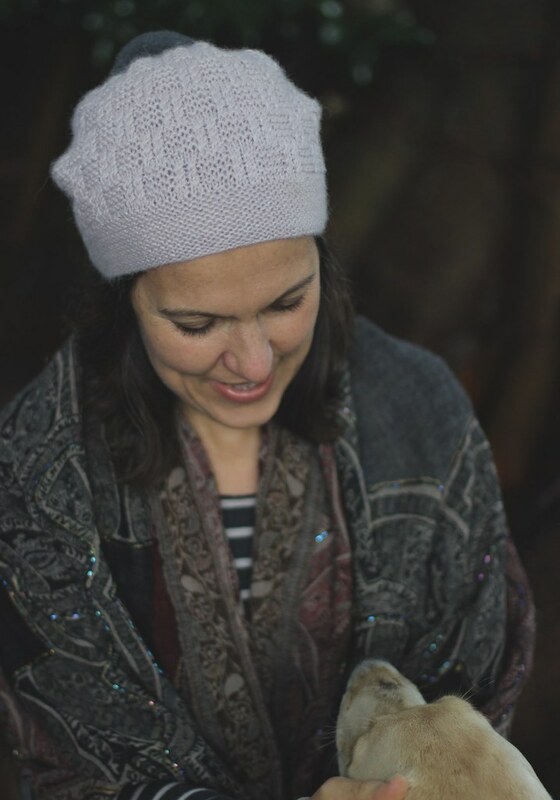 I do love the definition they give to stocking stitch and I've made good use of them in this hat - the rib is twisted, the stripes twisted and the lines in the lace twisted. They're easily managed by even the most novice of knitters and they're super effective. 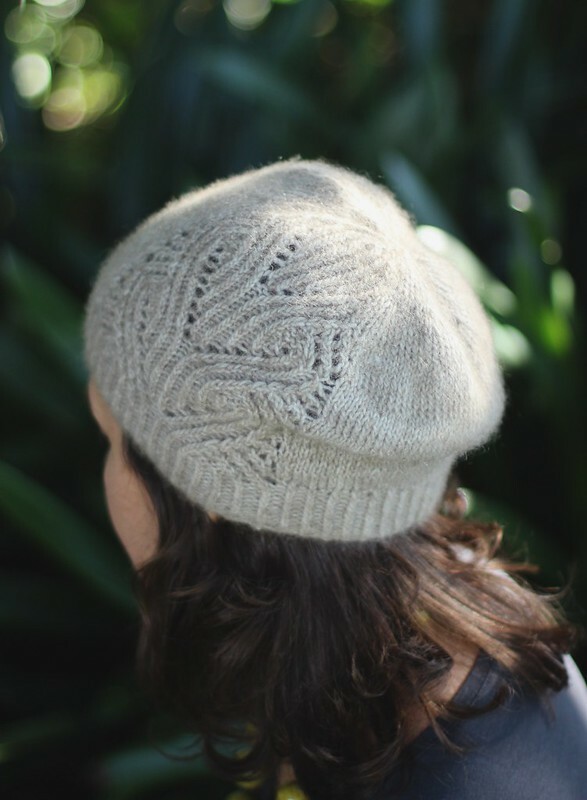 Koru hat uses DK weight yarn - I've used a delicious merino/possum blend from Naturally Yarns called Amuri - but you can easily substitute another soft DK yarn. 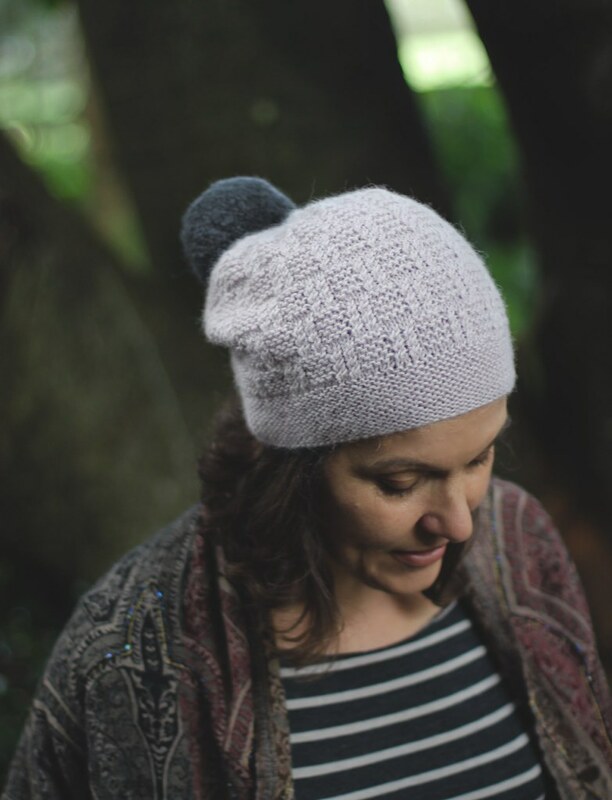 I like the "fuzz" that the 25% possum adds to my hat and if you're after a halo, look for a yarn that includes a little something woolly - like alpaca, possum or angora. 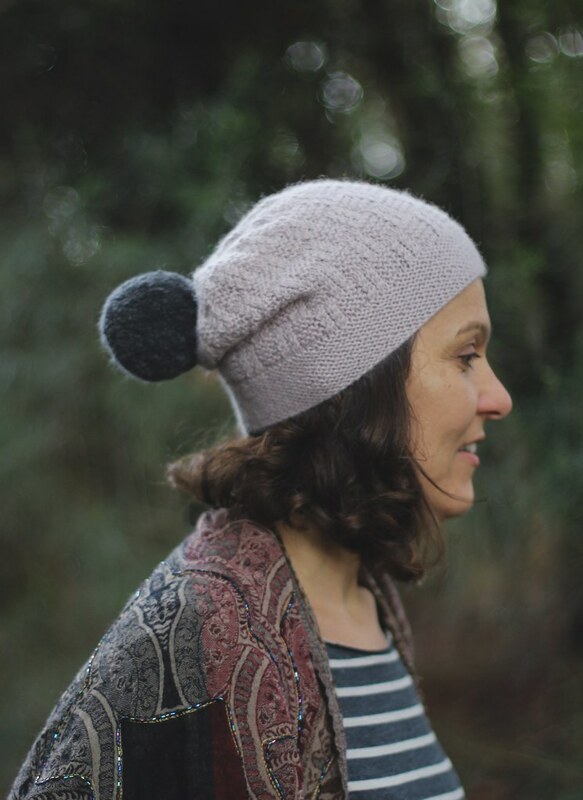 You can buy the pattern for Koru hat from Ravelry and if you're quick you can grab yourself a 15% discount off the price with the code KORU15 - be quick! it ends at Midnight, Sunday 6 September 2015 (NZ time - and we're ahead of everyone down here! My frantic knitting during my last couple of days in the UK ended well. 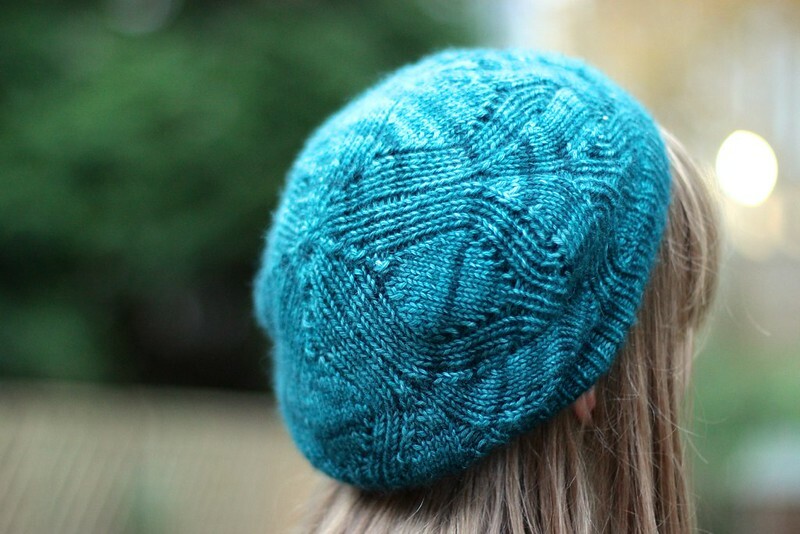 From memory the colour of the yarn is slightly darker in the flesh - truer to the name of the colourway, Sage Teal. In any event, it's a beautiful colour and an exceptionally soft, lush yarn. It was such a pleasure to knit with Skein Queen's Opulent Cashmere again. I snapped these shots early on the morning we left the UK, just as my dear friend was heading out to work. I'd blocked the hat the night before and I'm not sure it was entirely dry but she happily popped it on her head and posed while I quickly took a few photos. It wasn't cold enough to wear it when we left, but by the sounds of things it is now and I hope it's keeping her nice and toasty. 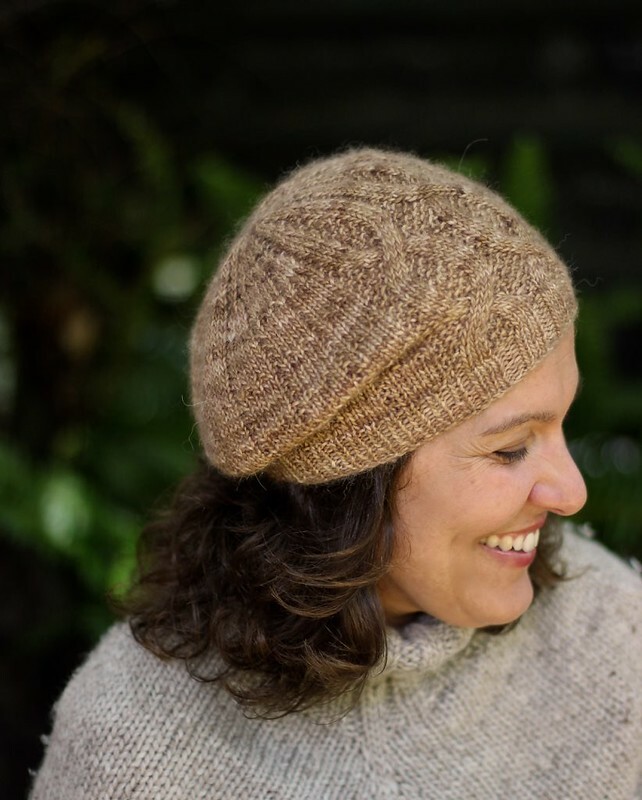 I followed the pattern just as it was written, although I cast it on and ripped it out again a bunch of times before I was happy and I think if I was to knit it again, I'd try a different, tighter-looking double decrease up the crown. Any suggestions for a good one?